UPDATE -- March 2017 -- as the Sempron has aged out to the point of being barely serviceable in a light web browsing machine I debated between an FX-4300 and an FX-6300 to replace it. The 4300 then went on sale, so that made my decision. The difference is as stark as you'd expect. This computer can now serve its purpose again, and I expect to get at least another couple of years out of it. In February of 2017 I also added a 2-pack of Corsair purple 120mm fans and a controller I had for them. The build is no longer the near-silent machine it was at first build, but it's still quiet enough and has evolved with use and developing need to have much greater versatility, and hopefully longevity, now. As the name suggests this build was mostly harvested from 1st build parts after upgrades, with the only parts bought new for it being the case, psu, and motherboard. It's mostly a backup/htpc with the primary goals being quiet with cool enough temps. Built late July 2015. Installed Ubuntu 14.04 from thumb drive and so far it's working great. It's no beast but it'll never need to be. It's worked admirably and is as quiet as, if not actually a little quieter than, my laptop. Notes: This particular Sempron 145 is unlockable to the Athlon X2, so this is actually a dual-core cpu. I'll experiment with that a little more in the future but for now I'm perfectly happy running it as a single-core. I ran it for seven months and loved it for web browsing/media playback and a little light gaming in my first build before upgrading. The GPU in this build is actually a 610 but I couldn't find that on the list at the time, and this psu didn't come with a power cable. 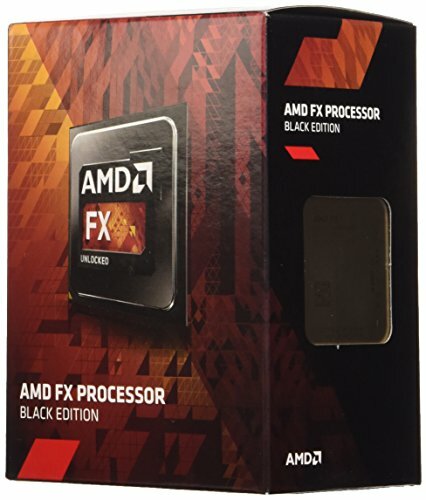 I read a review on Newegg (after purchasing, of course) that this was not included and was indicated. No problem though as I had one laying around. Definitely gonna stick with modular or semi-modular psu from now on, but for this build it didn't matter as much and shaved a few bucks off the total cost. The case was easy enough to work in for something as simple as this but would be trickier with more computer. And it required a little planning, as the covers for the pci slots were not attached by a screw but rather by a thin sliver of metal so they don't unscrew they break off. But other than that it's great. Pretty compact and pretty light so it's easy enough to work around. Basic but good older board with no frills. For a computer made from mostly salvage parts this has been excellent. A good 6 months of bi-daily use and no hiccups. Nothing to write home about, just a steady board. I do wish I'd gotten the one with usb 3.0 headers but I don't need that data transfer speed so an adapter cable at ~$3 more than suffices. 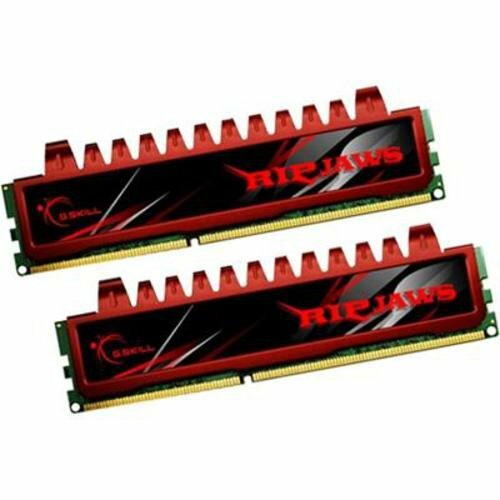 Runs bios, not uefi, and requires slower ram. Very well-earned 3 stars. Bog standard ram kit. Ran it 6 months as a starter kit in my build then popped it into a backup/htpc and have used it bi-daily for another 6 months. Small and slow kit but more than enough for htpc, light web browsing, and data backup. Solid 3 stars. Did some light gaming with this in another build for 6 months and liked it pretty well. Now it's mostly retired to the life of Riley as the gpu for a backup/htpc build that also gets used for some light web browsing. 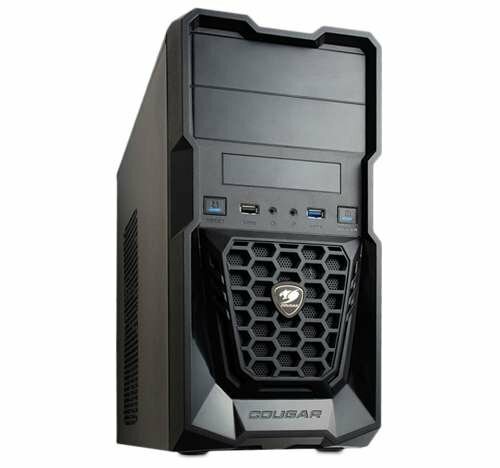 For this use it's great, and the fanless silent cooling makes the build quiet as a whisper. I can barely tell it's running when I'm right next to it. 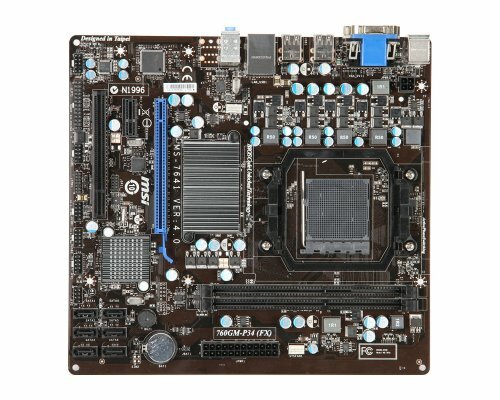 For anyone looking for a silent gpu on the cheap for an htpc build or to get a build up and running for cheap, this one is your budget model. 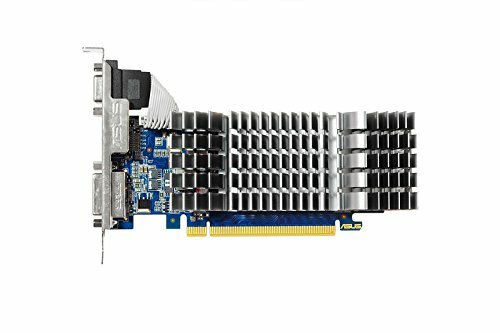 It's pretty small for a fanless card and should fit fairly easily into almost any build, and requires almost no power. Budget case with some budget aspects. Only one case fan, top-mounted psu, no top vent (but no top dust hole), no space behind the motherboard wall (but it's a smaller form factor so not unexpected) and the pci slot covers had to be broken off. But for a budget build like this it's more than enough and has a little room to expand. Has front panel usb 3.0 and a neat aesthetic. Four stars but only just, and largely due to the wallet-friendly price. Not unlike the Yaris' slogan of "It's a car!" 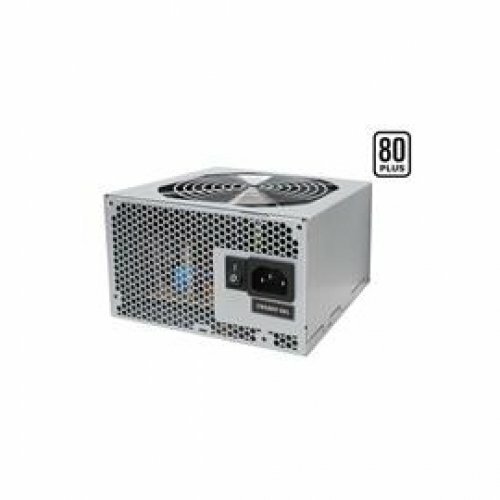 it's a psu. Ain't much of one but don't need much of one. Made cable management an interesting challenge and didn't come with its own power cable for the wall outlet but in a build like this that just adds a little character. It's shown up for work and done its job everyday without a hitch. Four stars. 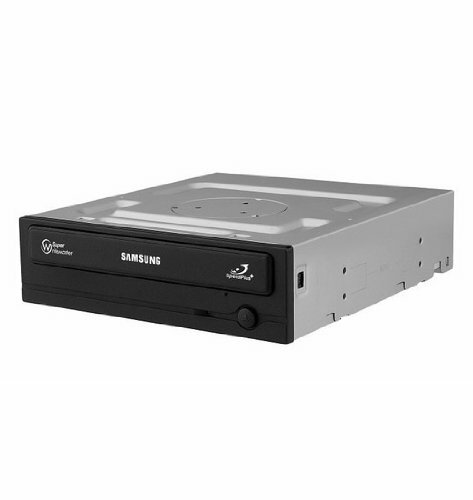 Bog standard dvd drive. Nice and quiet though. It's performed pretty well. I'd get this part again if it were on as good a sale as it was this time around. Easy 4 stars. Wow, thanks for the love folks! Honestly I didn't expect anyone to notice a salvage rig like this let alone take the time to comment on it. One other thing of note: I couldn't find the actual hdd, but it's the same model just the laptop version, as you can see it screwed into mounts on the floor of the case. I like them too. It's always nice to see a build that was put together from the leftovers and castoffs and made into a functioning computer again. Thanks! I don't think it would run even Windows 7 well but running linux it boots up way faster than my Win7 laptop. Been a while since I posted this. Just occurred to me that it might would've helped to put the specs. My laptop is essentially the same hdd. So for those who are curious of just how slim Linux feels after Windows, here's a single case example. Win7 boot time: 48s; Ubuntu 14.04 boot time: 25s. That was actually the reason I chose the Sempron 145 when I was doing my first build, which was later to be my gaming rig. I wanted to make a backup from the starter parts I had to use to get it up and running and caught a rumor that this little guy had about even odds of having a disabled 2nd core. I figured for the price ($30) it'd be well worth the risk given that as a backup and web browser it wouldn't matter much if it only had one core. It's a fun project to tackle too. Shame she's so far away that you can't really sink your teeth into it. Indeed it is! This case was a little too narrow to stuff them behind the motherboard panel so I just zip tied them to the drive trays to be out of the way. When they made the Athlon X2s they overproduced or otherwise ended up with overstock, so rather than having them waste space they reconfigured the X2s into Semprons to shift them. I reckon it must be better to make less money on it than to lose money from unusable warehouse space. So if your board can run it and you win the silicon lottery you can sometimes unlock another core on some models like this one. That said, it's proven to be a little more tricky to unlock the 2nd core with this board than it was with the board in my first build. But that's okay, because this computer won't ever really need the extra power. Granted, it's still a much lower frequency than we've gotten used to, but considering that it's a single/dual core it's a very competent cpu for this use.